New York’s attack on legal and lawful gun owners continues as a resident of a home catches a burglar entering his home, armed, shoots him in self defense after the burglar appears to fire a shot first, and the NY authorities are charging the legal resident of the home with manslaughter for protecting his home and family. Despite the fact that the resident, Youssef Abdel-Gawad , has video footage of the attempted break in and subsequent events, the prosecutors have indicted him of manslaughter. At the 30 second mark in the video below, the man breaking into the house clearly pulls out a gun before entering. At the 31 second mark the gun is clearly seen firing. 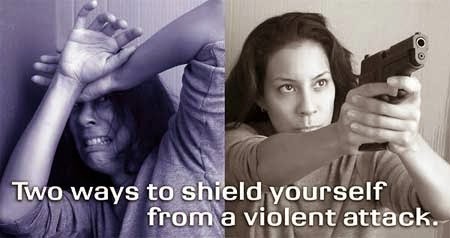 Do we, as Americans, no longer have the right to protect our homes, our families from armed intruders? New York has been the leading state to attack the Second Amendment rights of it’s citizens and one has to wonder when those very citizens are going to say ENOUGH!